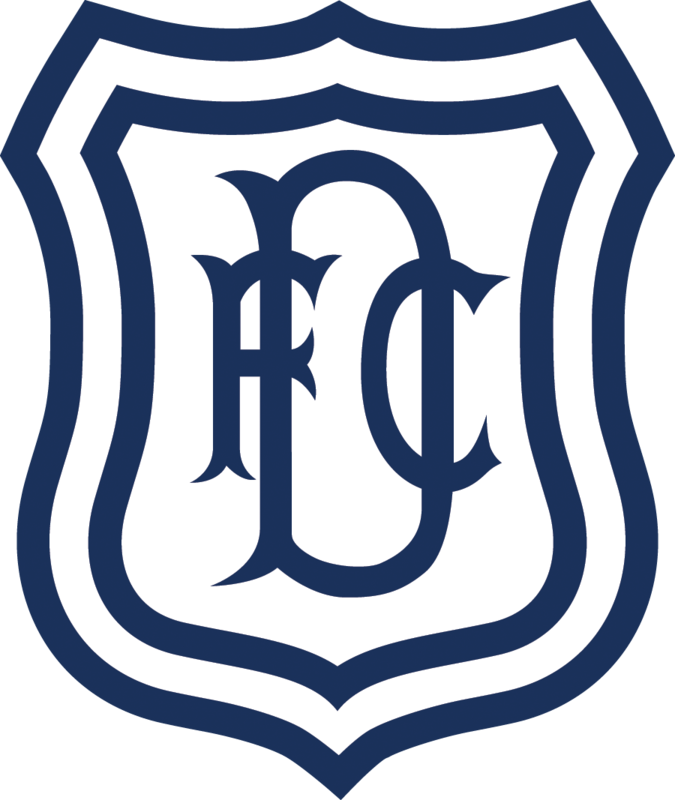 The Dark Blues gave Jim McIntyre his first win as Dundee’s manager with a 4-0 thumping of Hamilton Accies at the Kilmac Stadium at Dens Park. Kenny Miller was the star of the show with a hat trick. His first goal put the Dee one up at half time and he quickly added a second after the restart. Jesse Curran’s first goal for the club arrived midway through the second half and Miller rounded off a perfect evening by completing his hat trick near the end. The Dark Blues were unchanged following the fine comeback at Hibs. Accies made only one change; Delphin Tshiembe came in for Matthew Kilgallon. On a fast, greasy pitch both teams were keen to move quickly into attack, and broke fast whenever they had an opportunity. Accies had the first shot when James Keatings went for goal rather than finding the better placed Fredrik Brustad and his low drive was well taken by Jack Hamilton. After a smart, fast, build up, Jesse Curran took Paul McGowan’s pass first time, but his 18 yard shot zipped inches wide. The Dark Blues took the lead after 26 minutes. Accies’ new keeper Jan Mucha could only push Nathan Ralph’s fierce cross as far as Glen Kamara on the edge of the penalty area. The Finnish international twisted away from two defenders and, instead of shooting, slotted a clever pass through to Kenny MILLER who finished expertly, shooting high into the net. Hamilton had their best spell of the match following the goal and had the Dee under pressure for a few minutes. A Dougie Imrie cross put Dundee in trouble but frantic defending blocked shots by Keatings and Aaron McGowan. Dundee were always dangerous on the break and should have added to their lead when Kenny Miller fired over the bar at the end of a flowing move by Cammy Kerr, Jess Curran and Paul McGowan. The half ended with Keatings shooting wide from distance after Mikel Miller’s run had given him a fleeting opening. Five minutes into the second half Dundee got the vital second goal that gave them some breathing space, allowing the fans to relax and get right behind the team. A Kenny Miller pass sent Martin Woods into the penalty area. He tried to set up McGowan but his effort was blocked. Tshiembe’s clearance went only as far as Kenny MILLER, who took a touch and curled a scoring shot round Mucha from 25 yards. The goal forced Accies to try and chase the game and Dundee had little trouble pulling them out of shape and opening up space to attack. Further Dundee goals always looked likely and the third came after 67 minutes. Glen Kamara led a break from the Dundee half and he played the ball into the path of Jesse CURRAN who ran on to score with a low shot from 22 yards that took a deflection on its way past the helpless Mucha. Hamilton were becoming increasingly ragged, conceding possession easily and looking ever vulnerable at the back. Curran was close to his second goal when Calvin Miller’s low cross found him in space, but he couldn’t quite connect. Goal number four arrived 10 minutes from full time. A Dundee attack had Hamilton in complete disarray and Kenny MILLER made space for himself, again 25 yards out. The Dee skipper served up a reprise of his second goal, bending his low shot confidently into the same corner. 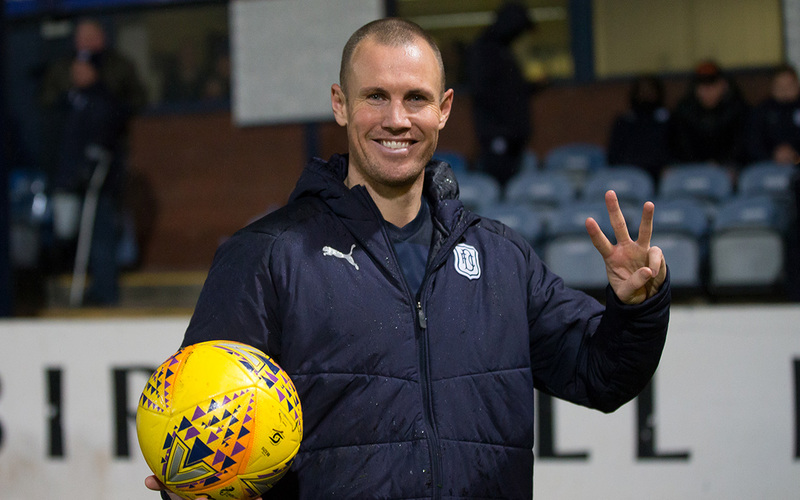 With the points secure for the Dark Blues and a richly deserved hat trick in the bag, Kenny Miller was withdrawn to a standing ovation. Jack Hamilton had very little to do in the second half, but he kept his concentration to make a great save from a Rakesh Bingham header, stretching to push the dropping ball away from the top corner of his goal. He then beat away a fierce shot from Steven Boyd. Keeping a clean sheet might not have the headline potential of four goals and a hat trick, but that was the cherry on a very tasty Dundee cake tonight. The players left the pitch to another standing ovation after their best performance for a long time. The Dark Blues played with a hunger, pace and tempo that proved far too much for Accies. The defence was tenacious and organised. The midfield pressed hard when Hamilton had the ball and worked hard to find space when in possession. In attack the Dark Blues were both inventive and clinical. Inevitably Kenny Miller was the man of the match, and deservedly so, but every man played his part tonight. Dundee were individually and collectively much the better team and the fans were delighted to see them get their reward. This game was a joy to watch. Unused subs: Parish (gk), Moussa, Inniss, Boyle. Goals: Kenny Miller (26, 50, 80), Curran (68). Booked: Kamara (foul on Keatings). Unused subs: Marsden (gk), Bloomfield, Want, Sowah. Booked: Tshiembe (foul on Calvin Miller), Keatings (foul on Kamara). Attendance: 4,426 (61 away supporters). Referee: John Beaton. Assistants: Frank Connor, Michael Banks. Fourth Official: David Dickinson.